Kumite, also known as sparring is performed with two people. One person is attacking; the other is defending. 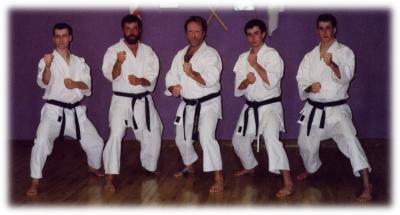 For most types of kumite there will be various prearranged attacks. Students will react with blocks appropriate for the attack and demonstrate basic application of the block and counter-attack. Important points are target area, timing, distance and control of technique.